Farewell to steam owner extraordinare Dennis! 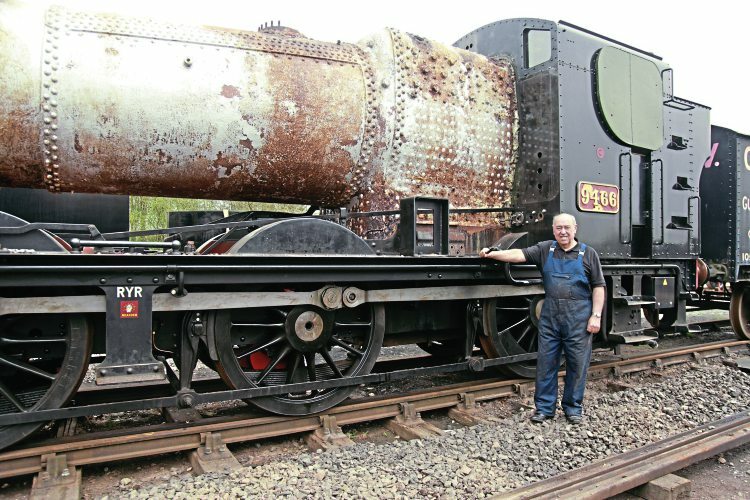 Dennis Howells’ name will be familiar to all Heritage Railway readers. This is the mark of the man, who is possibly best known today for his go-anywhere WR Hawksworth-design 0-6-0PT No. 9466, which he owned for 41 years, restoring it from a Barry scrapyard to concourse condition, operating across swathes of the national and preserved rail network. He was diagnosed with cancer at the start of this year and suggested we record his railway history for the record. Having known each other for more than 30 years, with Dennis and his team being responsible for introducing me to railway preservation, this came as a huge honour and privilege. The following is a brief record and appreciation of his many railway achievements. Dennis joined British Railways in 1955, initially looking to join the footplate grades, something his family and careers master were against, possibly because this was the year of the BR Modernisation Plan, forecasting the end of steam. His family suggested he became a skilled toolmaker, and subsequently had interviews with De Haviland, Handley Page and Napier, before joining the railways. School holidays were spent with his uncle Bill in Swansea, and in his own words he “split his time between the beach and riding with uncle Bill, a Swansea Paxton Street driver, on the footplate”. One such trip shaped his 55-year railway career when they stopped at a signalbox and saw a telegraph linesman at work. “It was love at first sight,” Dennis said. Later that year, aged 15, he became an apprentice in the technical department at Watford and retired in 2010, aged 71, as the lead signal engineer with the Network Rail enhancement group.